You are here because you saw that frustrating "Can't upload" message on your screen. 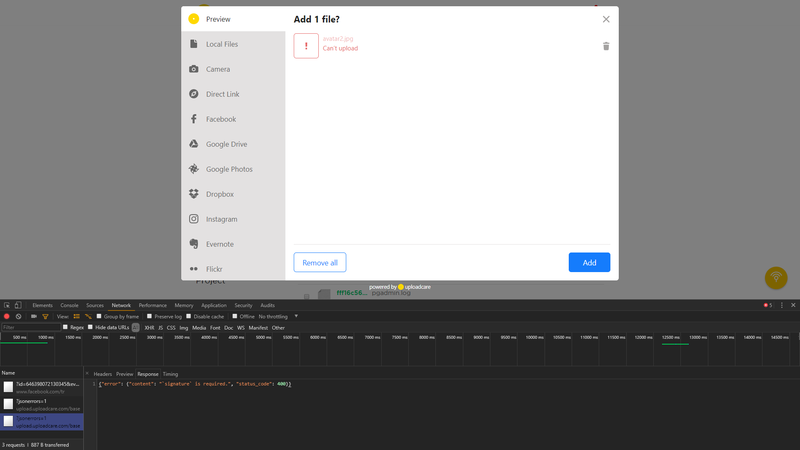 Free plan requires account verification before uploading non-image files. Images include following extensions: BMP, GIF, JPEG, PNG, PCX, TIFF, TGA, WEBP, MPO. If you are uploading any other file type you will need to attach payment information to your account. We will not charge you. We use it for verification purposes only. Free plan has hard limits on uploads and storage - you can see your remaining upload units and other limits in your dashboard. Once you hit the limit, your uploads are paused for the remainder of usage month. Each of our plans have limits on sizes of the files. Please check that your file is not exceeding the limits. 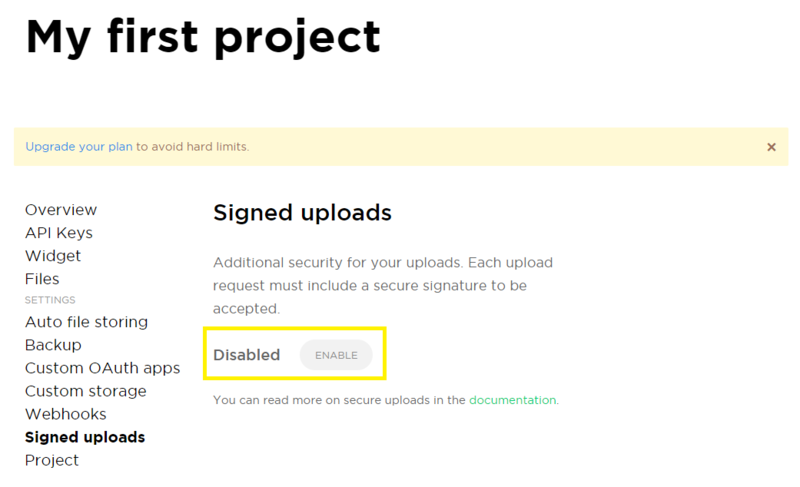 Check if you are able to upload the file using the widget on our main site https://uploadcare.com/widget/configure/. Were you able to do that? If not, what does it say? Sometimes it is convenient to upload a file through the URL. Check that URL is correct and the file is publicly available - you should be able to open the URL using "Incognito mode" of your browser. If you are receiving error messages not covered in this guide you can always check with our support. Your report should be as detailed as possible - your action sequence, information about the file, console messages, any other information that might help us to know more about your setup.